Love is a Number begins with a prologue. Eloise is reflecting on how she felt when her grandma died when she was in junior school. Chapter One we find out that Daniel is now in Madrid with mates Syd and Jamal. We find out how Dan feels about relationships. They re-meet up with a couple of lads they met in Granada last week. Lads that are suave, sophisticated and very charismatic … everything that Dan and his mates are not. An event causes Dan’s mates to return home but he decides to stay on. Next, we’re with Eloise. It’s two weeks after Huck’s death and we spend time with her and her grief and how it is in her world with her family and friends. Eloise is a girl who simply, has (or rather had) it all. She’s become her mother’s ‘project’ and admits to arrogance. Since the age of 8 her mother has chosen her wardrobe and her friends. 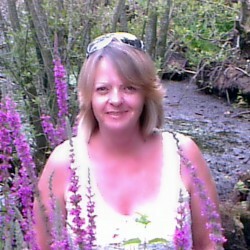 Alternating chapters are narrated in the first person by our two main characters. Dan is getting involved in a community in Spain and Eloise is coming to the realisations that her relationship with Huck isn’t as great as it was on the surface. Seemingly total opposites with their social backgrounds as well as personalities, we journey with Dan as he starts building belief in himself, finding out who he is and what he wants from a relationship while with Eloise, she’s peeling back the illusion to find the girl she used to be – the person that become buried under her mother’s emotionless snobbery. 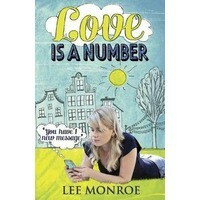 Love is a Number is a refreshing romance and one that YA readers will love.